Today, we are standing on the threshold of a new and exciting year. On a global scale (and very likely on a personal scale as well), 2015 was full of changes and the lightning strike of the unexpected. In my own life, the final quarter of 2015 held a completely different energy for me. Things changed in profound and stunning ways that you can read about here if you like. From all that I’ve seen in the Records so far, 2015 was a harbinger of the new and accelerating pace of changes on Planet Earth. Wouldn’t it be nice to equip ourselves with best practices for riding the waves of change in the coming year? Personally, I’m eager to learn how best to face what is coming, and not just find myself in a year’s time washed up on the shore, battered, bruised, gasping for breath, and spitting sand. I want to RIDE the waves, not be knocked down by them. Cruising along on the crest, the wind in my hair, borne forward to my brilliant future. THAT is what I want for 2016. For me and for you. 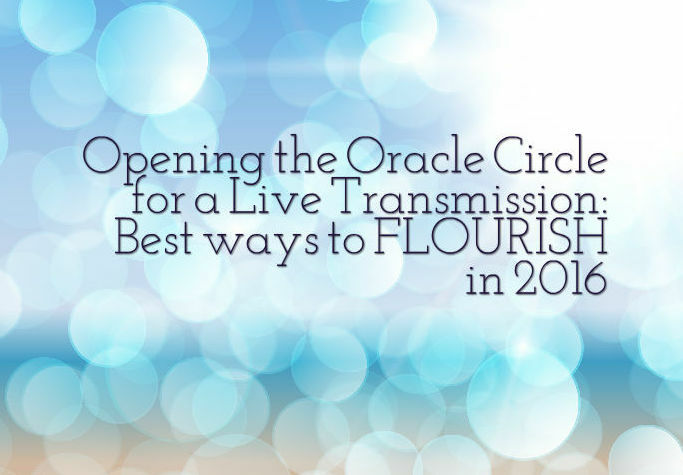 So I hope you’ll join me for a very special event: I am opening up my Oracle Circle to the public for a special live channeling of the Akashic Records of 2016 and how to flourish during the coming year. The event is now over, so click below to be taken STRAIGHT to the replay. And I must say, it was amazing–well beyond expectations. Here are a few of the responses. Of course, the Akashic Records are an ethereal archive; a virtual storehouse of all the Divine Wisdom there is to know. I say “Akashic Records,” but these days it’s more of a shorthand. In the nearly 2 years since my last Live Channeling that was open to the public (I do them privately with my Oracle Circle each month), the back of the archive has been blown off, and these days I’m channeling pure potentiality, All That Is. I’m not a braggart by nature, but I have to admit that I keep astounding myself and those for whom I channel by the depth of the truths that come out of my mouth when I do this work. In this Live Oracle transmission, you’ll receive soul-level answers to dozens of questions about 2016. The call is nearly 3 hours long, with over 2 hours dedicated to answers from the Keepers. People typically find that they receive exactly what they need, even if they’re not live on the phone to ask questions. 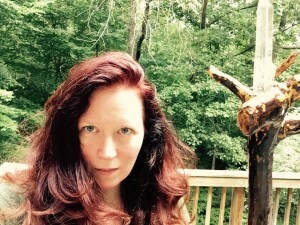 I’m Elizabeth Locey, Ph.D. + Oracle. After a short yet distinguished career as a professor of French + Women’s Studies, I have dedicated myself professionally to channeling Divine Wisdom in service to humanity, awakening in people the long-dormant magick within them of using intuition and crystals, and guiding a select few along their evolutionary edge. I invite you to join me for the magickal energy clearing (there’s time for you to release all that you need to; even though the live call is over, I’ll be there supporting and witnessing you, because energy is not bound by space and time) and the illuminating questions and answers. I promise you: as many times as you choose to listen, it won’t be just an event: it will be an experience. For just $35, you’ll get to step into the Vortex with me, let go of whatever you need to release, benefit from all the questions and answers about thriving in 2016 and beyond, and download the recording to your personal listening library to refer to again and again throughout the year. If you have participated in or listened to previous Live Channelings/Oracle transmissions, you know what a captivating energy this vortex invites you to partake of. It’s the frequency of pure Divine Love, a vibration that is almost shimmery: sweet, gentle light, like floating on the clouds. You should know that the energy of the ethereal plane is still very present when you listen to the replay. You’ll want to get grounded afterwards before doing serious work or getting behind the wheel of a car, as this sweet energy is so potent that you’ll be walking a few inches off the ground until you do. So what do you say, are you going to come play with me and find out how to ride the waves of change in 2016 that are already gathering? Click below if you’re a yes.